Tracey’s professional life has always been people centered. In her early working years she worked for American Airlines as the Station Manager for Westchester County airport in New York. It was there she developed her love for leading and customer service but more specifically for figuring out what makes people tick. Her love for travel kept her in the travel industry working for several other airlines until she left to join her husband in his business. 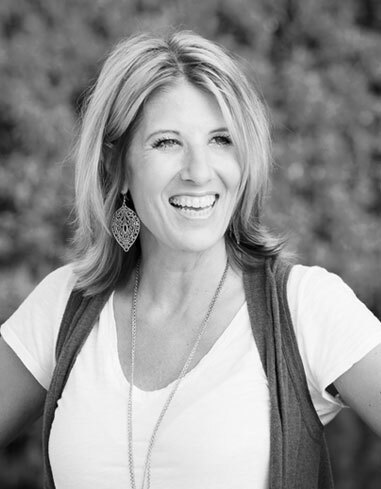 Tracey worked alongside her husband as the Marketing Director for Chick-fil-a in Palm Harbor, Florida for five years. Marketing, Branding and Leadership remain Tracey’s favorite aspects of building a business. She has most recently channeled those passions into building the brand of the growing faith based non-profit organization For the Girls International that she co-founded in 2008. For the Girls International’s mission is to Awaken Purpose, Ignite Passion, and Mobilize Women, inspiring to embrace their gifts, their talents and their stories to bring hope and healing to a hurting world, reflecting her own personal mission. Tracey is the Executive Director of FTGI and through various avenues, she spends her days connecting with women of all ages and walks of life, inviting them into a sisterhood of love, support, and encouragement. She loves meeting women and hearing their stories. She is also a speaker and writer, inspiring her audiences to live their lives to their fullest potential. Whether you’re attending an FTGI event, reading her blog, or sitting across the table from her at Starbucks, you will find yourself utterly engaged in what Tracey has to say. You will also feel loved and understood. Her willingness to share her personal experiences and thoughts allows for any woman of any background to receive a message that is relatable, relevant, and motivational. For the Girls International, Inc. is thriving a faith based non-profit 501 (c) 3 corporation headquartered in the Tampa Bay area in Florida. Their corporate purpose is: To facilitate spiritual growth, personal development and leadership in women encouraging them to engage in meeting the physical, emotional and spiritual needs of their families, their communities and the world. Founded in 2008, Tracey and the FTGI team have encouraged thousands of women and girls through their quarterly Girls Night Out events, monthly network luncheons, the annual AWAKEN conference, SHINE mentorship programs, various book studies and outreach events. FTGI is continually growing their programs to invite women of all seasons of life into a sisterhood of love and encouragement. Tracey married her junior high sweetheart Dan 30 years ago and considers it the best decision she ever made. They have been blessed with two grown sons, a teenage daughter, a lovely daughter-in-law and an adorable granddaughter!